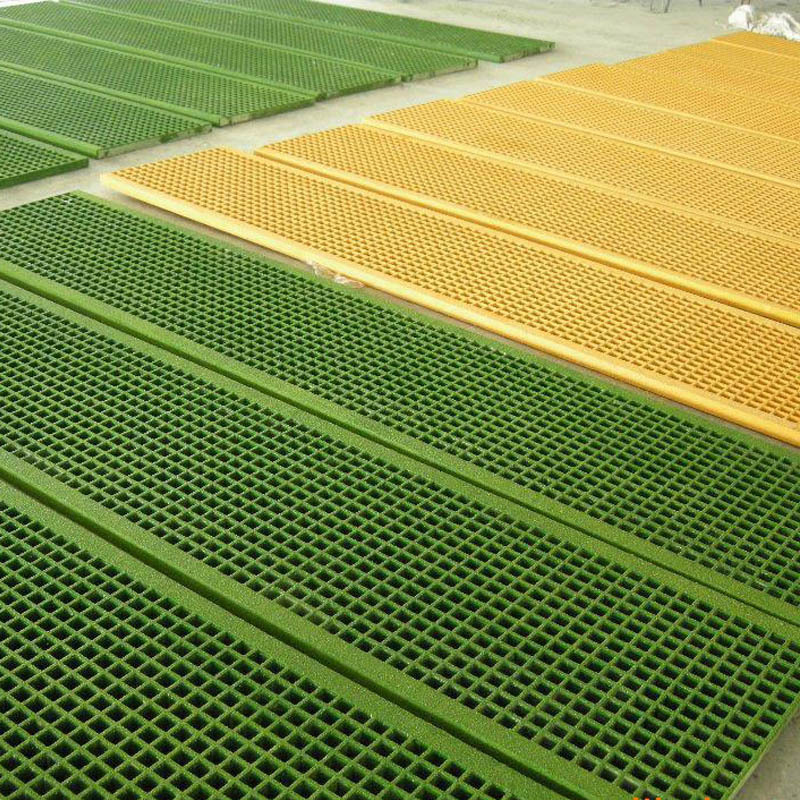 1.The FRP grating is integrally constructed for a high strength. 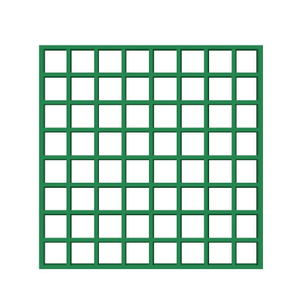 The specific gravity is 1.8g/cm3.Its specific gravity is only 1/4 of steel, 2/3 of aluminium. 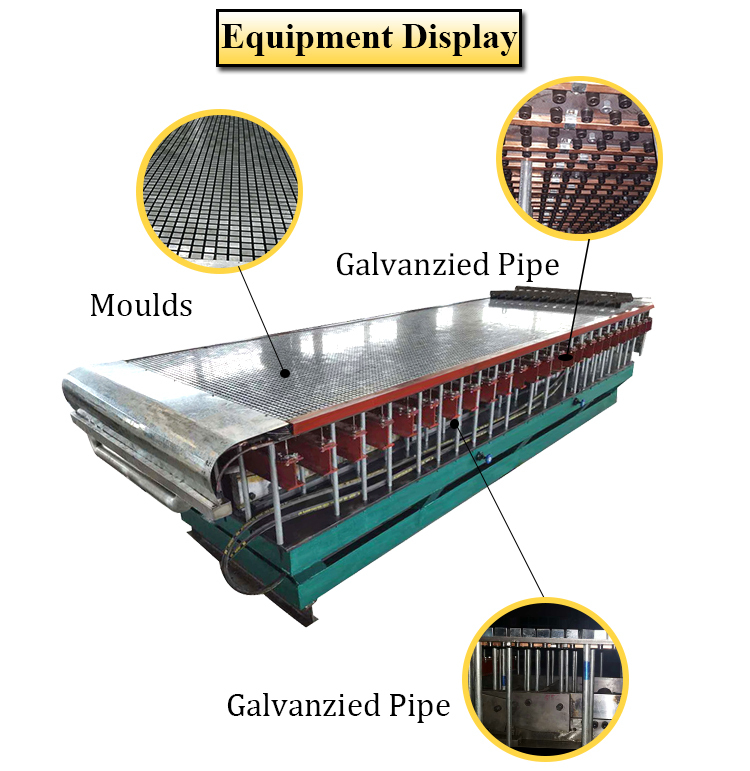 FRP grating distributed evenly loading to all parts on it. 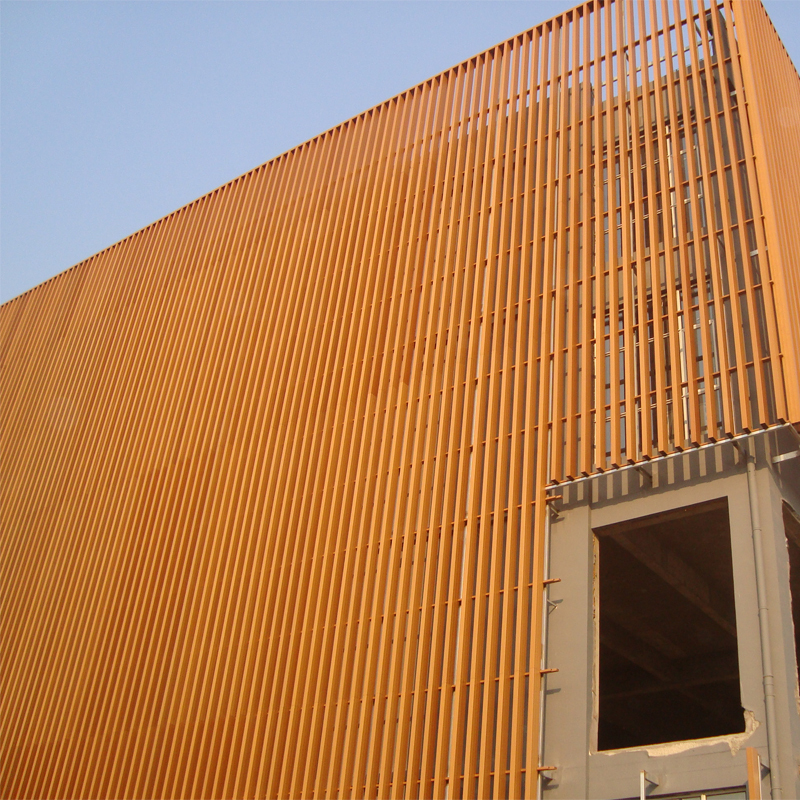 The strength is 10 times as much as hard PVC, the absolute strength is more than aluminium, reach the normal steel’s level. 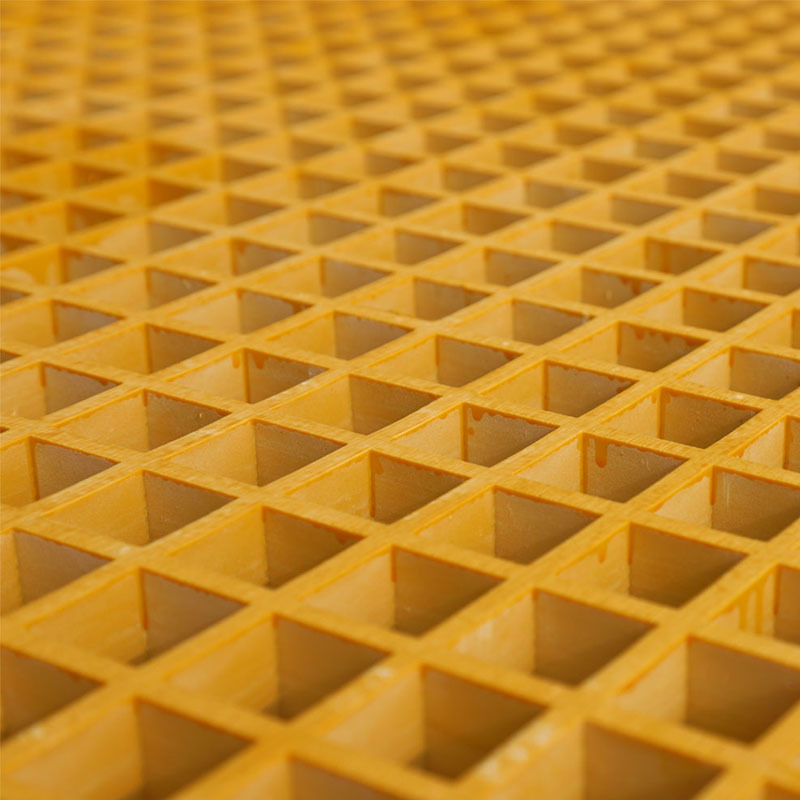 2.FRP grating offers lower cost than steel, long life(more than 20 years), no maintenance, although the first investment is higher than common carbon steel. So it is more economic in terms of the total benefit. 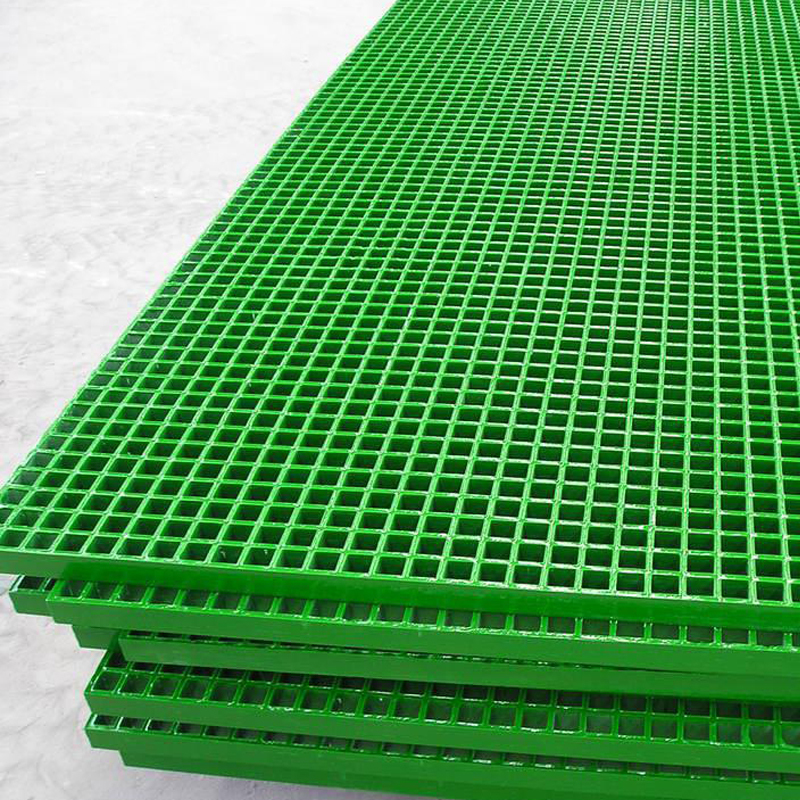 3.FRP grating resilience, it can make the workers standing on comfortable. 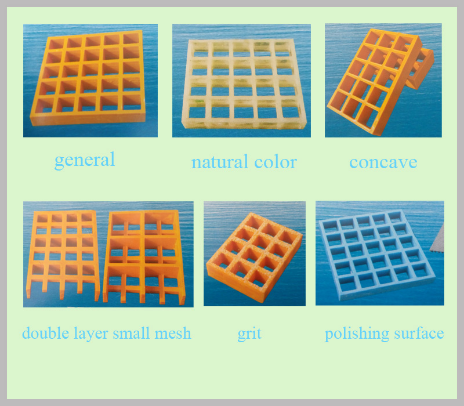 FRP grating are often used in the fields of petrochemical industry, textile printing and dyeing, food processing, electronics industry, pharmaceutical manufacturing, oil engineering, metal smelting, sewage treatment, transportation, water plant breeding, pulp and paper, shipbuilding, civil architecture etc. 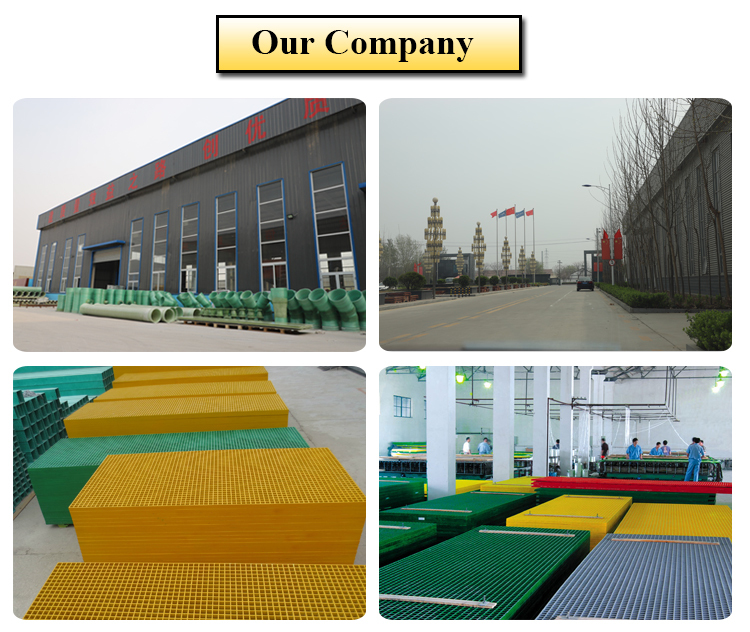 The concrete uses include operating platform, overhauling walkways, drilling platform, terrace, stair steps, equipment aisle, trench over, boat deck, fence etc. Hebei Shangrun Environmental Technology Co.,Ltd. 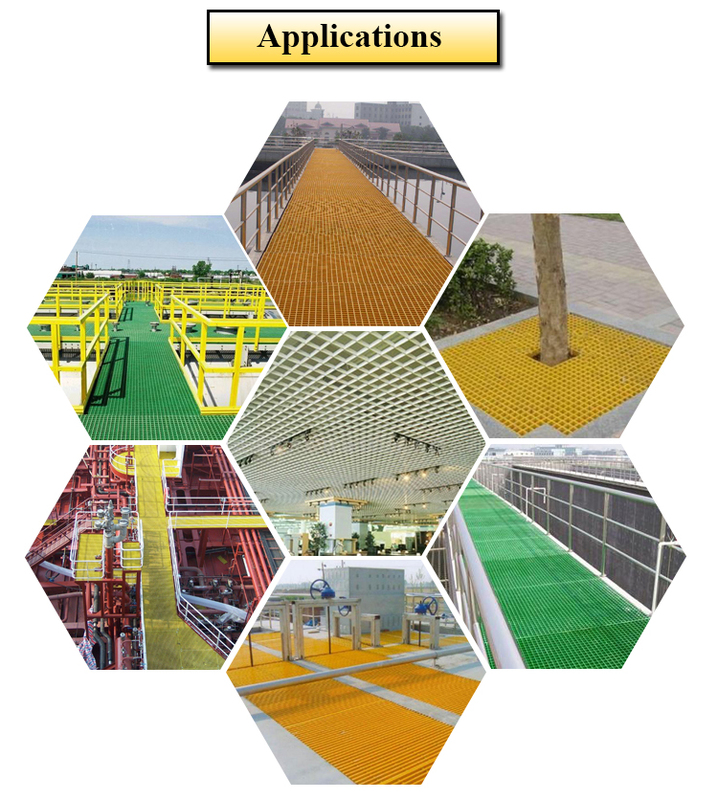 is professional in manufacturing and exporting FRP machine and FRP products. 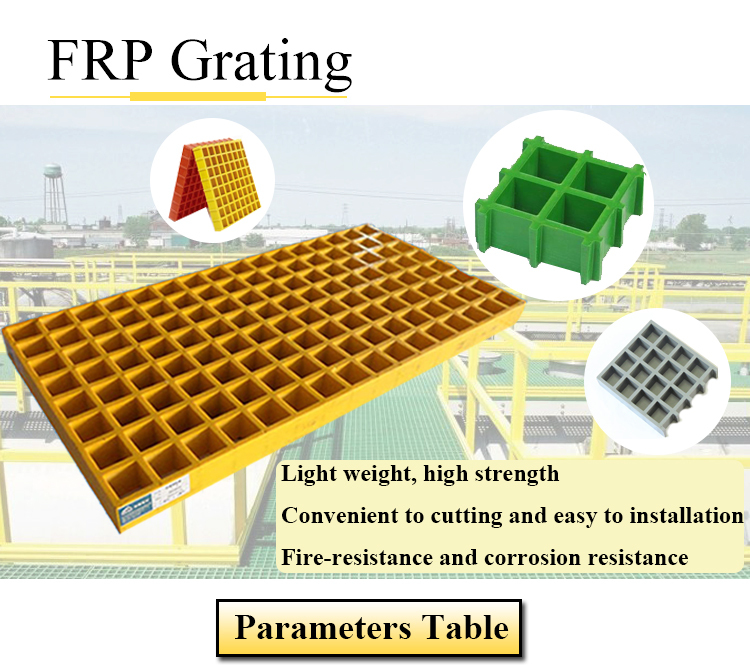 We have manufactured FRP grating for many years. And our products have been exported to many countries. Satisfying customers' demand is our resposiblility and we will try our best to satisfy customers by our high quality, competitive price and good service. We hope to be your reliable supplier & stable partner by establishing long time as well as joyful business relationship with your esteemed company! 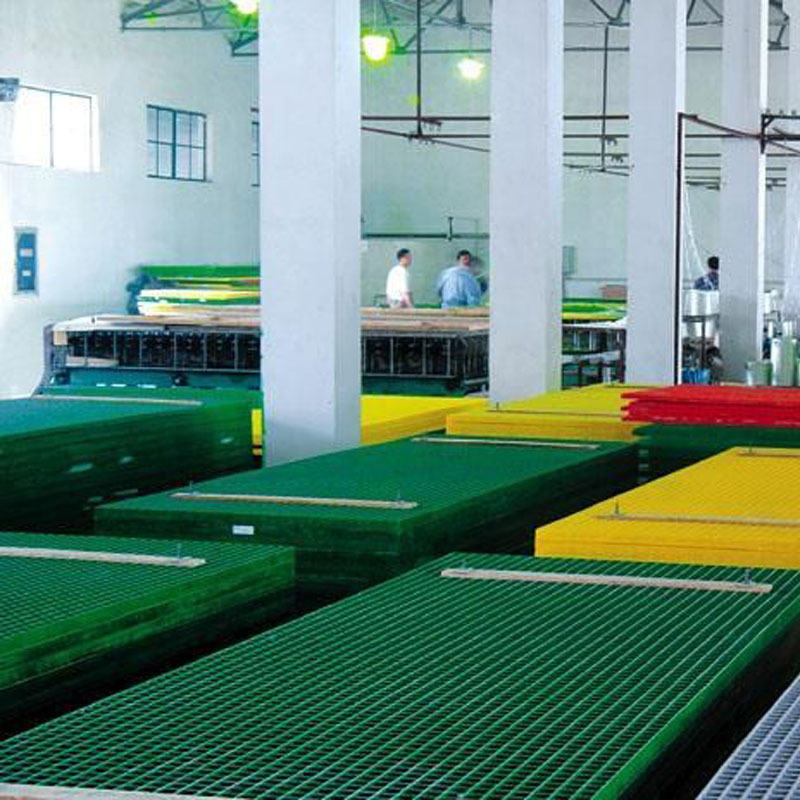 We adopt high quality raw materials, strict quality management and advanced production technology. Answering emails or solving questions timely. Delivery and update information on time. Trust, good quality and service are the basic of long term business. Q: I am interested in your products, could I get sample for free? A: We can supply a few pieces FREE samples if we have some in stock, and you only need to pay the freight cost by yourself. 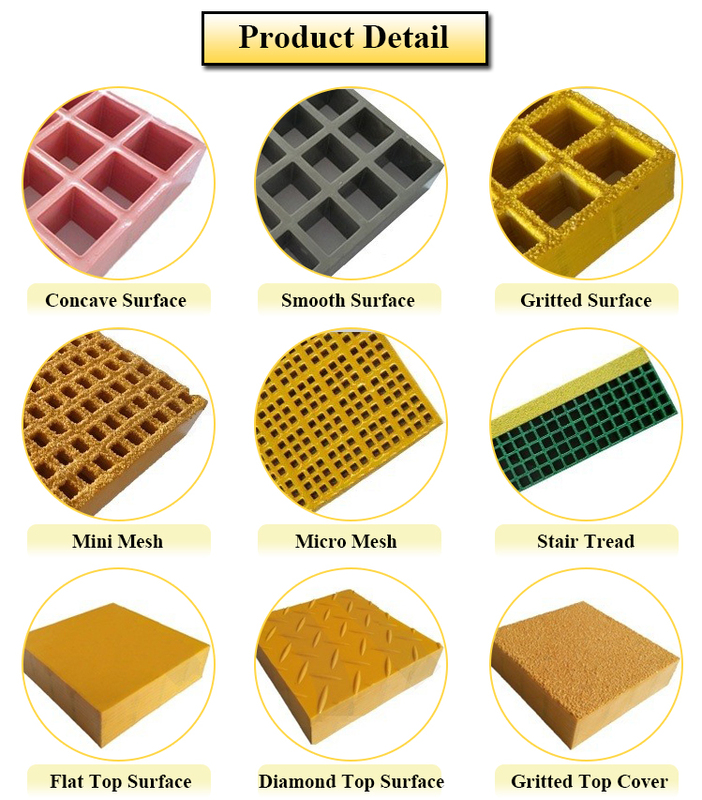 Welcome to send your inquiry for FREE samples! A: 10-15days after receiving the deposit based on the MOQ. Normally, 30-35days to finish the order for a 20ft container. 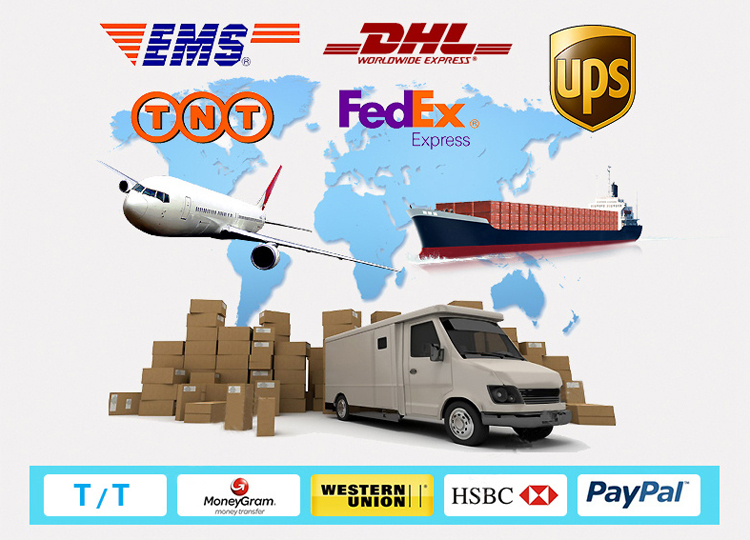 Welcome to ask for the detailed delivery time according to your order quantity! Q: How can you guarantee the product quality? A: We have the quality control system ISO9001:2008, and it's been followed strictly. 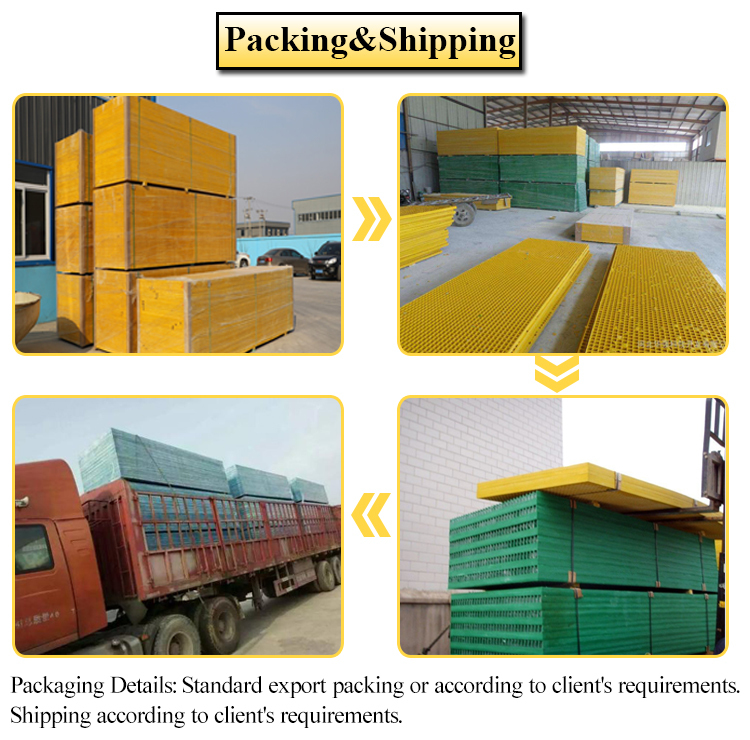 We also have the professional QC team, and each our package worker will be in charge of the final inspection according to the QC instruction before packing. A: Basically, the payment terms are T/T, L/C at sight. Western Union, Paypal, Alipay. through hand made and heating to shape. Appearance is smooth, beautiful. The quality is high — glass fiber is more than 30%. resin, pultruded products confidently service longer clear spans. 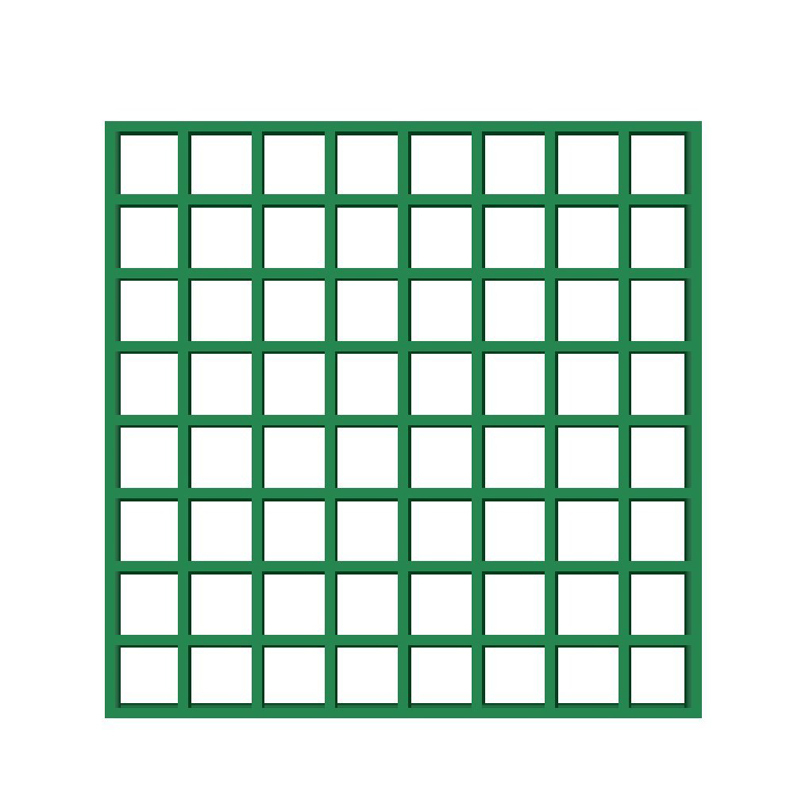 fence, filter plate and so on.